Who doesn’t love a fun giveaway?! 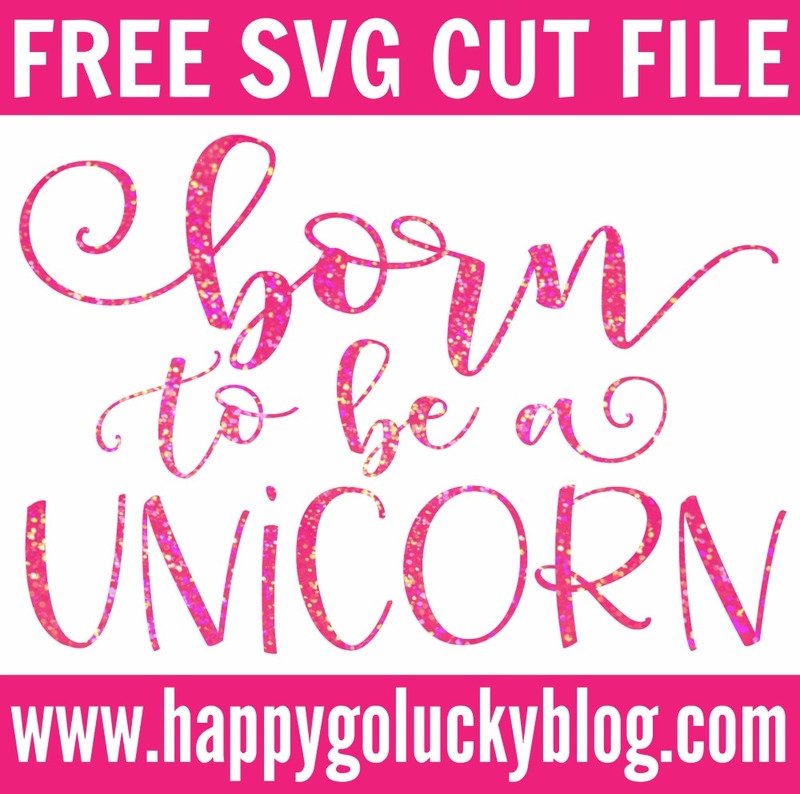 First, I have a magical and free Unicorn SVG Cut File for you. 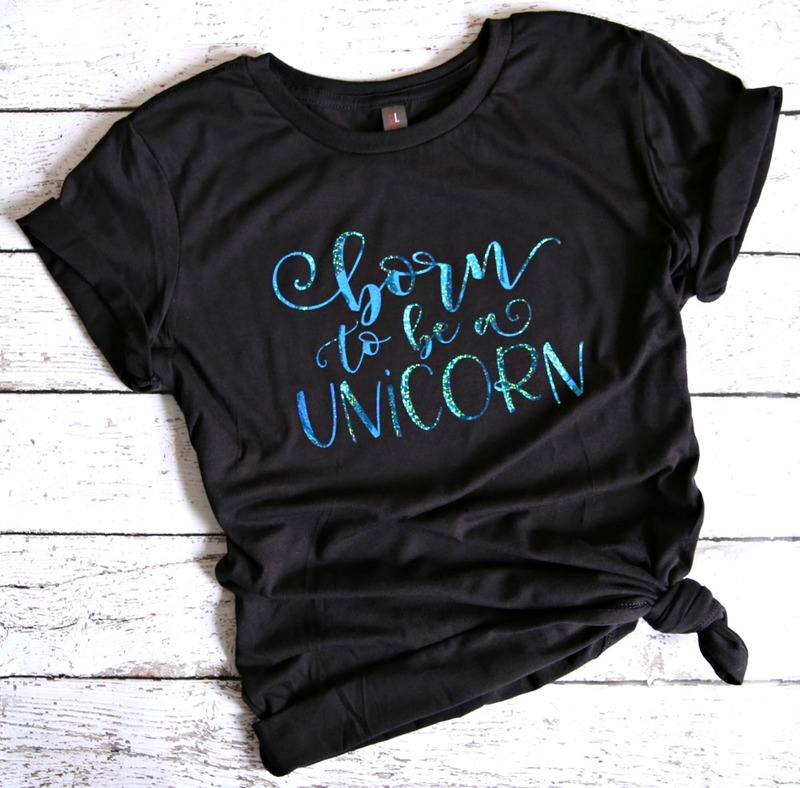 I realized that every unicorn needs a t-shirt that say’s “Born to be a Unicorn,” so I made one for myself. And, of course I had to use Holographic Heat Transfer Vinyl Sheets from Happy Crafters™ because unicorns are sparkly and glittery creatures. I used the aqua holographic HTV but I’m definitely going to make another one using the pink and purple holographic HTV sheets. I love how sparkly it is. 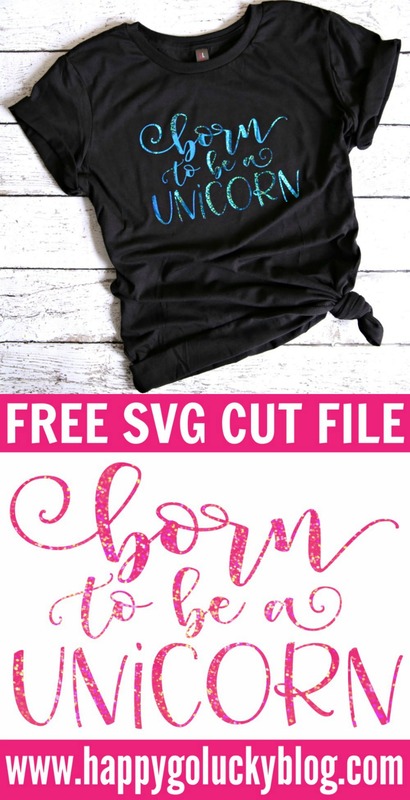 Download the FREE SVG Cut File HERE. And, check out all of the fabulous T-Shirt projects we all created. Aren’t they awesome?! I’m a little obsessed with graphic t-shirts so I want them all and thanks to my handy dandy Cricut, I can. This month’s challenge is sponsored by Happy Crafters™ where you can find all the supplies you need for your vinyl cutter. Stock up on Heat Transfer Vinyl, Adhesive Vinyl, blank apparel, and so much more! I’m about to order all their sparkle, glitter, and foil vinyl because I need it all. Now, for the best part! 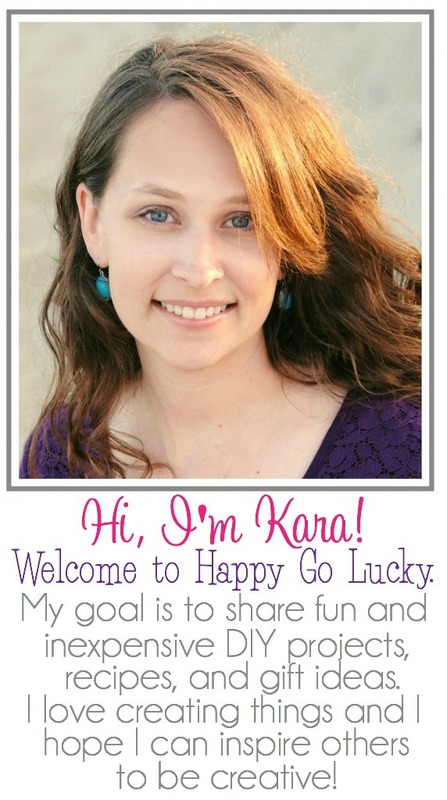 It’s time for an awesome giveaway sponsored by Happy Crafts™. 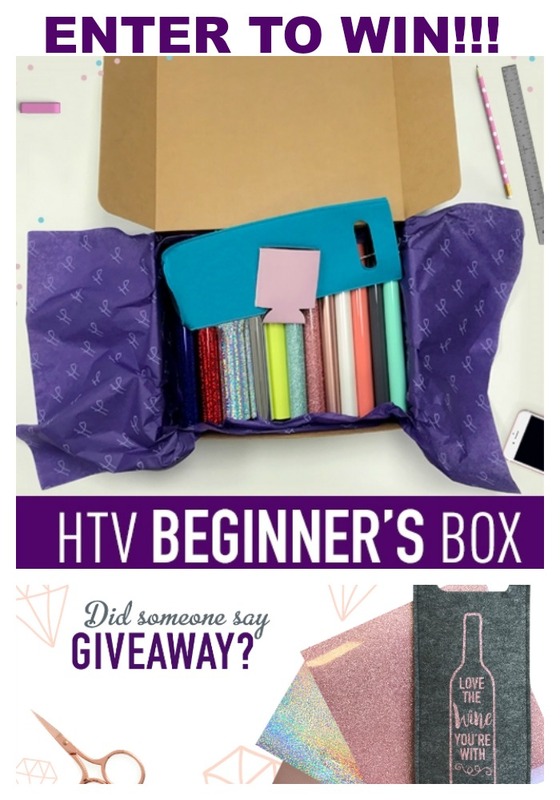 Enter below to win an HTV Beginners Box full of Heat Transfer Vinyl. Happy crafting my friends! What fun t-shirts have you made with your Cricut lately? I love the holographic HTV that you used!! It is perfect for this t-shirt! I love your sparkly unicorn! Thanks so much for being part of our challenge. Pinning! I love the holographic vinyl, I just love the sparkle! Pinning! I loooove this t-shirt! The font/ HTV combo is so, so perfect for this saying. This would be perfect for all types of fun projects besides t-shirts. I’m pretty sure I need a mug, lol. Love the design the holographic HTV is perfect for this shirt.